Successfully saved Healthy Vegan Chocolate Chip Blondies (refined sugar free) to your Calendar. You can also save the ingredients to your Grocery List. 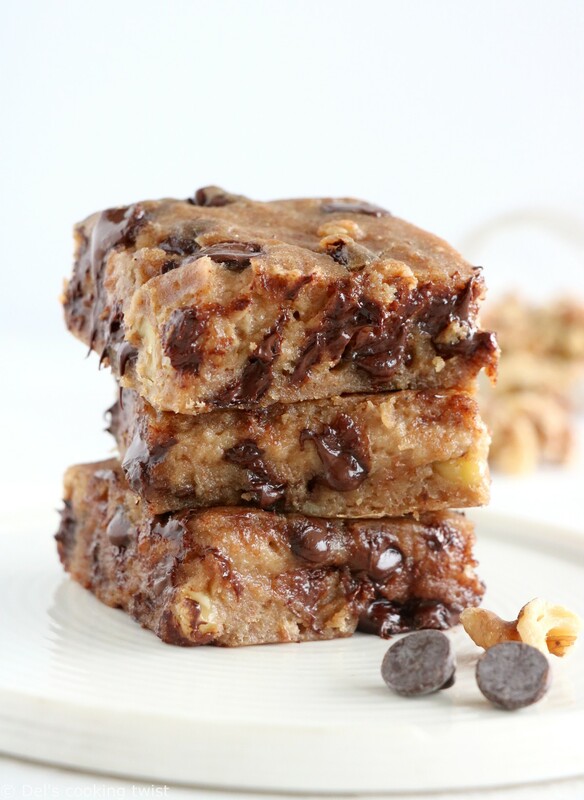 Much healthier than their classic version, these chocolate chip blondies are vegan, nutty, naturally sweetened with dates and your go-to recipe when you need a treat in a hurry.